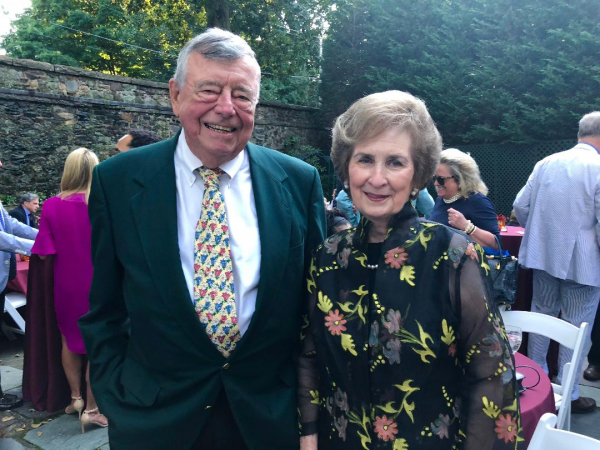 In 2018, the Bronxville Historical Conservancy celebrated its 20th anniversary with infectious enthusiasm, honoring two decades of preserving and protecting Bronxville’s rich history. We now look forward to 2023 when we will celebrate in tandem with the Village of Bronxville: as we salute our 25th year, the village will honor its quasquicentennial anniverary. It seems only fitting that we celebrate together, since the Conservancy’s founding was inspired by the village’s highly successful Bronxville Centennial Celebration. Two winsome portraits painted by William R. Hamilton — Mary Morison Masterton (1829-1911), the only daughter of Tuckahoe Marble Quarry owner Alexander Masterton and wife Euphenus, and Alexander’s niece, Catherine Masterton, painted with a spray of flowers to match her silken gown — along with needlepoint samplers sewn by the two girls, were a treasured gift to the Conservancy by longtime village historian, Mary Means Huber. An afternoon dedicated to Huber recognized and honored her for her generosity and commitment to the village and its history, drawing a large gathering of friends and admirers. Historian Huber lived in the Bronxville community for almost 60 years, and she served as Bronxville Village Historian from 1987 to 1999, playing a key role in establishing the village’s Local History Room. She was also a founding member of the Bronxville Historical Conservancy, serving on its board for several years. Conservancy Life Co-Chair Marilynn Hill and 2018 Co-Chair Erin Saluti both welcomed the crowd who had come to honor Huber, art historian Jayne Warman shared the history of the two beautiful portraits, and Bronxville Mayor Mary Marvin presented the honoree with a box engraved with the Bronxville village seal as a token of the community’s gratitude. Mary’s daughter, Betsy Port, shared a poignant, personal and loving perspective. On October 20 at Siwanoy Country Club, while off duty, Police Chief Chris Satriale responded to a report from the Bronxville Historical Conservancy of a stolen painting. Guests had gathered for the unveiling of Winter’s Day and gasped when the velvet curtain was drawn to find a framed emoji cartoon rather than the original painting by Nichols. Working quickly to secure the crime scene, Chief Satriale assured the crowd the mystery would be solved and the painting returned before the evening was over. 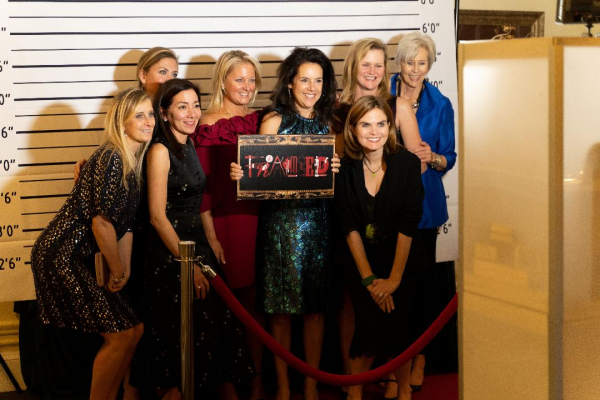 This was not reported on the Bronxville police blotter because this elaborate ruse was part of Framed!, the Conservancy’s gala celebration. The bogus heist, producing a genuine evening of entertainment and fun, involved an interactive murder-mystery performance that was threaded through cocktails and a sit-down dinner. Table assignments quickly turned into investigative teams competing to solve the crime and catch the culprit. After trying to persuade the crowd of their alibis, only one suspect could not, and she ultimately was charged as the thief. With the crime solved, the original painting was recovered and presented to the crowd. Art historian and BHC curator Jayne Warman concluded the evening with the true and accurate account of the special painting and its artist. Henry Hobart Nichols (1869-1962), born in Washington, DC, was the son of a noted wood engraver. He studied both in Washington and Paris, and in 1910 settled in Bronxville until his death. He contributed much to the artistic life of the village and to the New York art world. Nichols was known for his integrity, sincerity, and high idealism, and his works are characterized by a blending of subtle, quiet tones. Winter’s Day will hang in Bronxville Village Hall as a part of the Conservancy’s expanding collection of Bronxville art works. Eleanor Pennell, a former member and long-time Bronxville resident, bequeathed the painting to the Conservancy on her death in January 2018. The gift reflects her commitment to the Conservancy and the Bronxville community and it serves as a lasting legacy, reminding future generations of our village’s history and continuing appreciation of its resident artists. The Bronxville Women’s Club celebrated the 20th anniversary of the Bronxville Historical Conservancy by honoring the organization and its co-founders, Marilynn Hill and Bob Riggs, in a gala evening at the historic Anna Lawrence Bisland 1928 House. More than 140 guests attended the celebration on September 16, 2018, in the ballroom of the historic 1920s clubhouse on the corner of Midland and Tanglewylde Avenues, to honor Hill and Riggs as they received the Distinguished Community Service Award presented by Club President Mary Westmoreland. Westmoreland noted that for years, those with an interest in local history lamented the lack of a historical society, especially as they observed works of village artists and Masterton homestead treasures leaving Bronxville, while architectural landmarks such as the Hotel Gramatan were demolished. “The Celebration of the Century,” the Village’s year-long tribute to its 100th year, chaired by Hill and Riggs, sparked a vision. Responding to the enormous interest and participation in the 1998 Village Centennial,100 families readily supported Bob’s and Marilynn’s dream to found a historical society, and the Centennial’s non-profit corporation became the Conservancy. 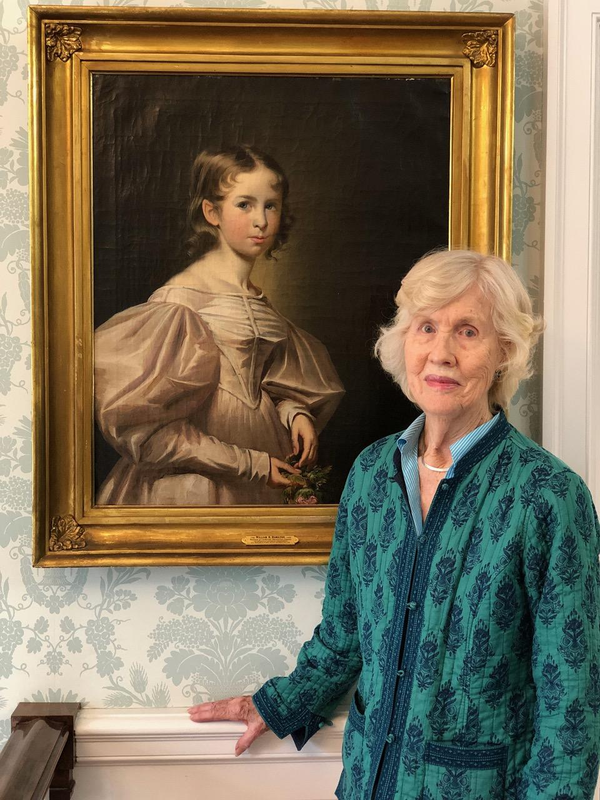 With a generous bequest from Frieda Riggs, the Conservancy created an endowment that has enabled the ongoing efforts of its dedicated members to pursue and fulfill its worthy mission and goals; to preserve the historic charm and enduring beauty of Bronxville. The organization has steadily grown in numbers and impact since its inception. For 20 years, the Conservancy has flourished under Bob’s and Marilynn’s leadership, creating an awareness of the village’s architectural, artistic, and cultural heritage. Through their careful stewardship and heartfelt commitment, they have illuminated the past, enhanced the present, and engaged all who wish to strengthen and preserve our community’s legacy for the future.